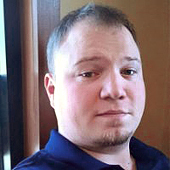 We are talking with Douglas Winzell, an owner of Vaurent - a leading high performance web hosting service provider. HOSTSEARCH: Douglas, thank you for giving us an opportunity to talk with you today. Can you please tell us about your background? DOUGLAS: I have served in multiple facets of the information technology world. I have experience in server administration, network administration, service desk operations, data development, dev ops, and developing large scale data centric software as well as project planning and management. When time permits I am an avid outdoorsmen on the weekends and during the week if I can help it. HOSTSEARCH: Can you tell us a bit about the history of Vaurent? 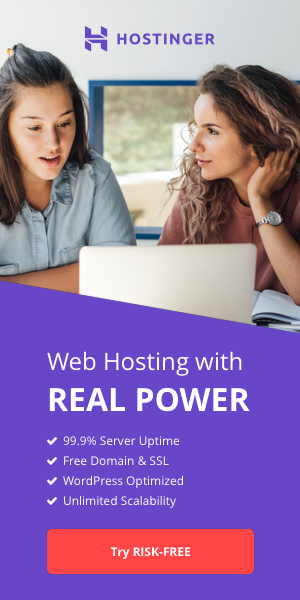 DOUGLAS: We started Vaurent a few years because we just didn't see anyone else in the market offering higher performance web hosting and advanced enterprise solutions on a budget, and we set out to do just that. Operating for a few years now we have had ups and downs but we are really starting to make a dent in the high performance hosting market. DOUGLAS: We offer Cloud and Bare metal servers tailored and optimized for different customer needs along with managed shared web hosting. Our managed hosting is reall our best deal as we integrate your websites into Cloudflare, and other cloud based CDNs to make sure your media and data is delivered as fast as possible to the end user. HOSTSEARCH: I noticed Vaurent just added the new features for Cloud Hosting and Dedicated Servers. What are the advantages for customers using these services? DOUGLAS: We have been very picky on which locations and datacenters we decide to house our servers along with the hardware themselves. Our new servers come with everything you need, 16GB of ram is standard and so it SSD storage along with 5 ip addresses. You really don't see anyone else offering these beefy servers at the prices we do. As far as cloud we have completely redesigned our cloud offerings using Xen Virtualization and massive SSD flash pools to speed up performance. HOSTSEARCH: Vaurent is A Cloudflare Certified Partner, can you tell us how this was established and how it can benefit the customers? DOUGLAS: Through our Cloudflare partnership we are able to provide customers direct access to Cloudflare's advanced CDN and proxy network while enhancing cyber security for our customers. If you are going to host a website that uses Cloudflare, you really need a company that is integrated with Cloudflare. HOSTSEARCH: In your opinion, what makes Vaurent stand out as a company? DOUGLAS: Our extremely fast bandwidth, 1Gbps Enterprise DDOS protection does give us a edge against our competitors, however at the end of the day our experienced staff is what set's us over the top, they have come from many different backgrounds which allows them to easily provide support for different architectures and environments, that's really what makes Vaurent stand out. Most companies don't keep DBAs around for support, but we do. HOSTSEARCH: As the owner of Vaurent, what is the most important attribute that you bring to the company? DOUGLAS: My integrity always keeps us honest, we don't ever over sell or over load any service we provide. We strive every day to make sure our customers are getting the best performance possible. I am always challenging our staff to find new and better ways to accelerate our hosting services. DOUGLAS: Just using "hostsearch" at checkout new customers can get 20% off any purchase. We usually never off a "blanket" promotion but for Hostsearch readers we want them to feel confident they will be repeat customers on anything we offer. 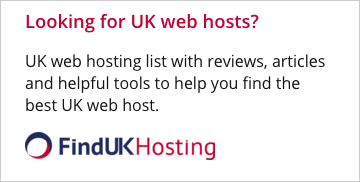 HOSTSEARCH: Do you plan for any new lines of services? What can Vaurent customers expect in 2015? DOUGLAS: So far we are expanding into hosting Keen's latest builder Medieval Engineers along with rolling out our own cloud cdn late this year. Game hosting is becoming bigger and bigger as more indie titles hit the market. CDNs are also becoming more and more necessary to provide customer media to end users. HOSTSEARCH: That’s all for my questions. Thanks again for your time, is there anything you would like to add in this interview? DOUGLAS: Something we didn't mention enough is our support staff, when you choose any hosting company you are going to have questions and run into a few problems. Based on our data our average support ticket resolution time is under 2 hours and customer satisfaction is a 9 out of 10. Of course we strive for 10 but I think our numbers speak very well for our support staff, they work around the clock to make sure our customers hosting stays online.